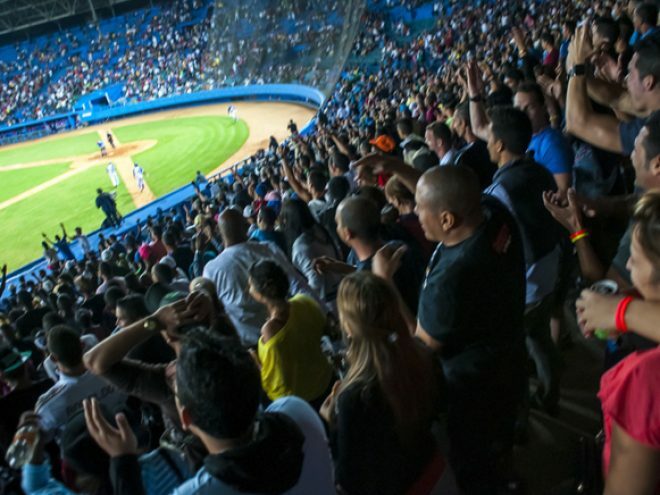 (There is the small matter of beating Pinar del Río’s Vegueros one more time first for Havana’s leones but already 3:1 up in the series it would be a shocker of epic proportions were they not to make it). Matanzas had the best record in the regular season this year, showing a quick return for Cuba’s most esteemed coach, Victor Mesa who was hired as team manager at the season’s outset. He will be keen to lay to rest his record of defeats against Industriales in the final who, after a ho hum season, seem to be peaking at the right time. They will need to especially if they are going to find a way to keep free scoring Matanzas under control who qualified for the final with a crushing 13:2 defeat of last year’s reigning champions, Villa Clara on April Fool’s Day.